The Country Dancing Group meets from September to December on Wednesday evenings from 19.30 to 21.30 in the premises of St. Margaret's School for Girls, and occasionally on other dates throughout the year. 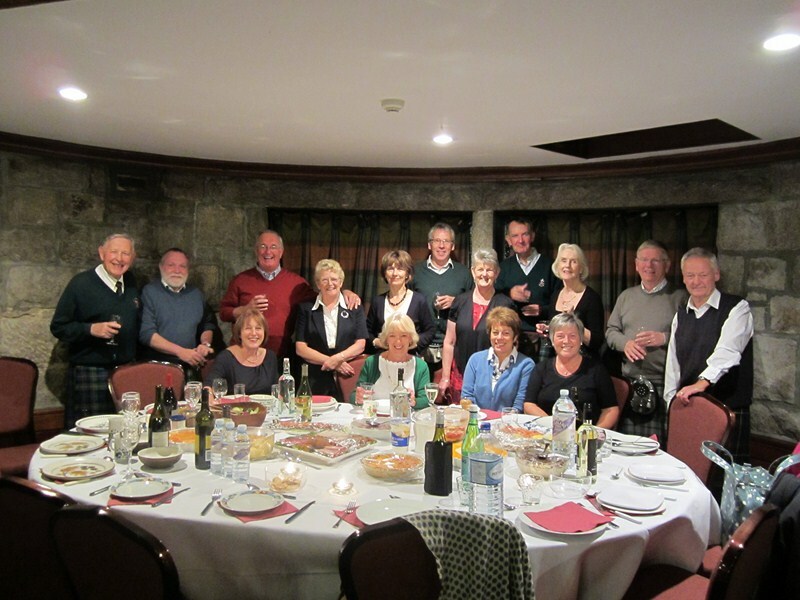 The group is organised for those wishing to socialise, exercise and become acquaint with some of the traditional dances regularly performed at ceilidhs in the North East of Scotland. The programme embraces old favourites such as Hamilton House, Duke and Duchess of Edinburgh, Duke of Perth and ventures into the realms of The Postie's Jig, Mhairi's Wedding and the Sixteensome Reel. The intent of the group is to have all participants enjoying a relaxed evening's dancing without an over severe approach to the execution of Pas de Basques, Travel Steps and Reverse Arm Grips. Each evening finishes with a well-earned refreshment back in the Club. The essential ingredients of this dancing section are good humour and a sense of fun and camaraderie.